Raven Theatre is a professional, ensemble-based live theater company on Chicago's north side with a focus on modern drama. Each year, Raven produces a full season of plays, education programs for children and special events in addition to providing performance space for outside artists and organizations. 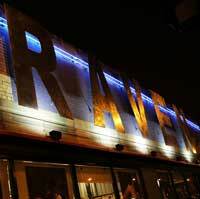 Founded in 1983, Raven is committed to serving our community's needs through the arts.